Absolutely no poison, all natural, pet-friendly backed by a lifetime rodent free guarantee. Do you suspect a rat problem in your home or property? Are you fed up with wasting money on setting up ineffective rat traps or monthly maintenance programs offered by other rodent control services in San Bernardino? Call us at Rodents Stop and we can help solve the rat problem for once and for all. We do not set you up for a costly monthly maintenance plan, we will get the job done as quickly and efficiently as possible. There is a unique process for eliminating rats so that they do not come back. We understand how to effectively deal with a rat infestation and to eliminate the source of the issue. Our rat control services include rat control, rat prevention, rat removal and clean up, crawl space decontamination and attic decontamination for residential homes. -You hear scratching sounds. When rats move around they produce scratching sounds in places like the attic. -They leave droppings around the house, usually in places which are not the most visible ones. -Damaged furniture can be one example, rats basically chew on everything, so the damage they can cause is huge. -If you accidentally find a nest in your house or anywhere near, you should be very cautious and contact professionals. -Property Damage: Rats like to chew on wiring and insulation and important components of your home that can be costly to replace such as roof insulation, damaged plasterboards, and wallpaper, holes in floorboards and walls. The wires that rats chew on can potentially cause a house fire. -Noise: These rodents are awake at night and hide during the day. They can easily cause insomnia for you and your family by scratching and making noise relentlessly through the night. -Health Danger: Rats are disease transmitting animals. They are a dangerous health hazard, they can contaminate any food that is left out. Rats can also have fleas causing even more trouble for you and your family. It is very important to understand that rats can smell their own scent for up to 5 miles around them! Why is this important? Because they follow their smell, back to places other rats have been. Once a rat has been in your home and tracked their pheromones around, it becomes extremely difficult to eliminate them. -Damage to walls, roofs, floors etc. These tips should be undertaken early in order to have a rat-free house. Rodents reproduce quickly and even small populations can become huge infestations in a short period of time. You need to keep any possible food sources away from rodents: no crumbs and garbage can sit around for too long. Rats are attracted to these kinds of things together with grains and cereals. Keep them in a proper container to prevent contamination. Do not leave fruit and vegetable wastes in the sink. Cardboard objects are also proven to be attractive to rats as they chew them to use in their nests. How to Control Rat Infestations? At Rodents Stop, we attack infestation from multiple angles- sealing up entry points, neutralizing their pheromones and scent of direction and cleaning up any possible health hazard they have left behind! Through our unique treatment, we have been able to eradicate the worst infestations – and it’s the only way we can provide a LIFETIME GUARANTEE with all of our work! As always, we are glad to provide you a free estimate on our rat control services. We will let you know the extent of the problem, and more importantly how to solve it for good! We proudly back our customized rat control services by our unmatched lifetime rodent free guarantee! 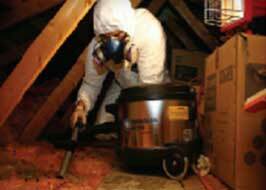 Call us now at (818) 583-7287 and we will help you get rid of your unwanted guests.